Happy New Year everyone! I have finally put away all my Christmas decorations and am prepping for Mardi Gras and Valentines. I am such a holiday hound! To kick off this year’s craft projects, I wanted to bring you some Valentines Slime! 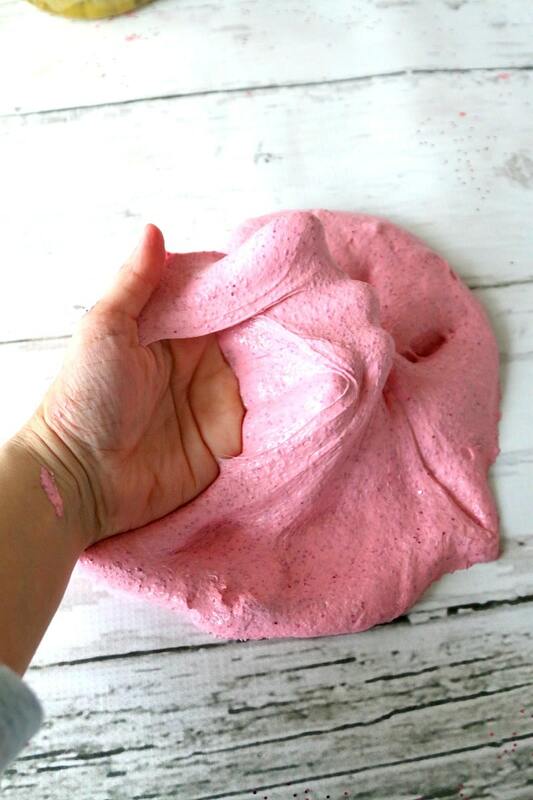 This red (or pink) slime is so fun and so easy for kids, as long as you know what you are doing. First, let’s go over a few things. Making slime is a science project. It’s combining two different items that create a reaction to one another. Because creating slime is a science project, as well as a craft, the items that are used to create this slime recipe are NOT for small children that are still putting items in their mouths. Slime is not edible and children should always be supervised on this and other projects. I am sure we all ate our share of glue when we were 4, but trust me, its no good for you. In a hurry and ready to grab your slime supplies? Go HERE to grab your liquid starch! 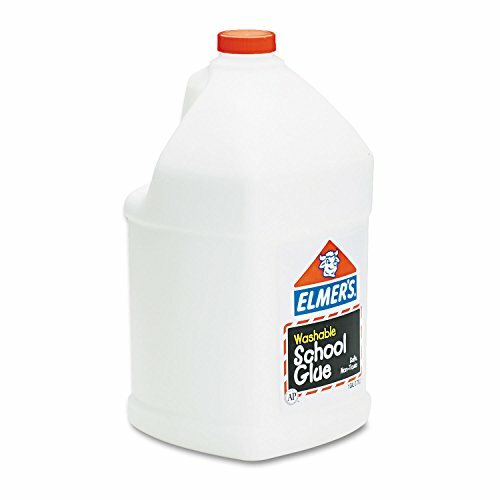 Go HERE to grab your Huge Glue! You will need a few things to get started. I HIGHLY HIGHLY recommend purchasing these two items on Amazon before you embark on a slime adventure of any kind. Unless you want a dinky amount of slime, you need a ton of glue. I learned this the hard way by having to try to squeeze glue out of mini bottles forever. Then I discovered you can buy it in bulk. LIFE SAVER. Second, you need liquid starch. While spray starch is easy to find, liquid starch can be hard to find in stores. I had to check quite a few before I found my liquid starch, so now I just buy it online to make sure I have it on hand. Additionally, solo cups are great for mixing and I like to have a play mat or vinyl for the slime mess. Simply use about 1/3rd cup starch in 1/2 cup glue to create your slime. Just mix your glue and add starch little by little until you get the slime consistency you want. Once it’s set, then separate the white slime and dye the colors you want in solo cups. 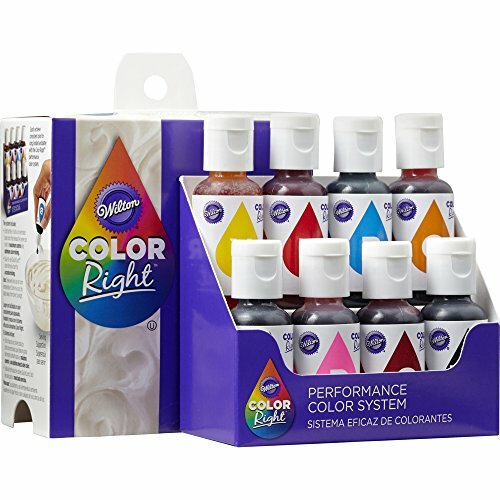 As mentioned prior, it can be pretty hard to find liquid starch , so pick this one up here (it’s the one I use) as well as a huge thing of glue so you can make tons of slime for all occasions. Buying this way is a lot more cost effective and once you start making slime, you will def want to have everything in house. 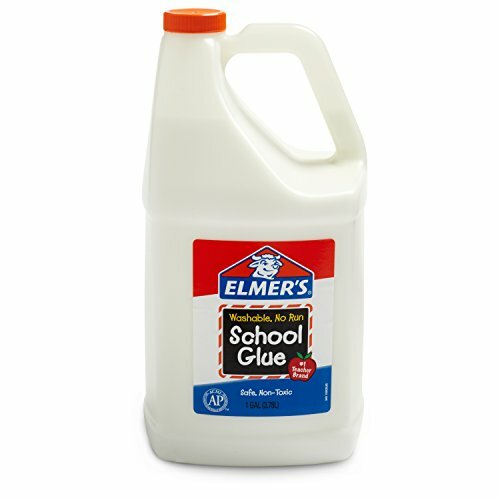 Note: This glue sells out FAST. You can also try here and here if it’s not in stock below. I constantly have people message me and ask why their slime didn’t work, it’s either too hard or too goopy. I wanted to create a nonstructured video that walked you through the steps of slime so you could see, in real time, what happens while you are making slime. Often you see the end product on a website and are not really sure how it got there. This video will address and show you exactly how you go from GOOP to playtime. 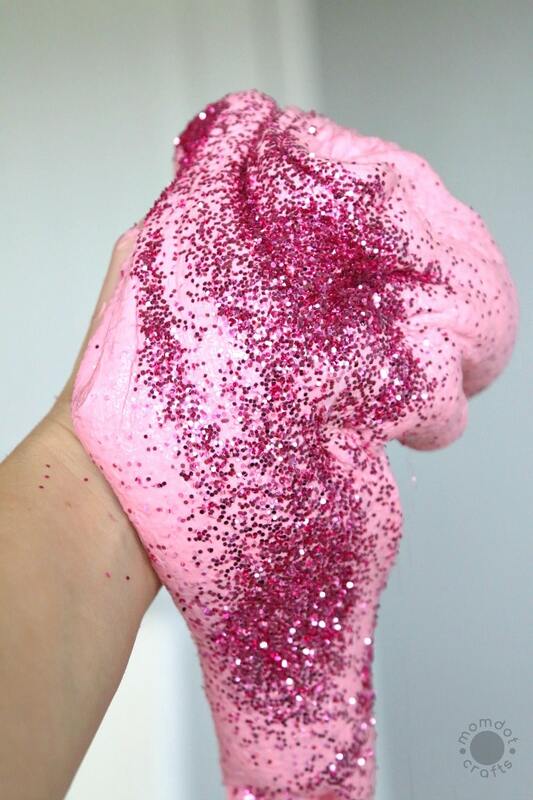 To make your slime, use the video or recipe above, adding glue and starch till the consistency is correct. In the slime below, I also added red food coloring and glitter! Ready for another challenge? 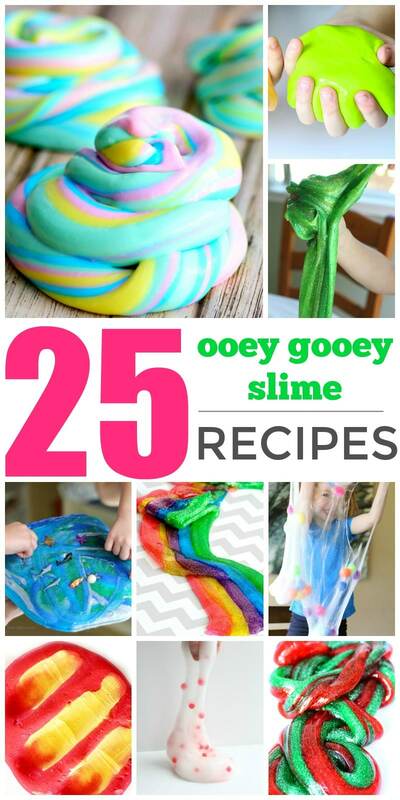 Try one of these great slime ideas! It’s snowing or about to snow here…I might check out glue situation and see if we can make some to keep the kids occupied!